I always feel a little sad as summer comes to a close. Our winters here are long and hard and during the summer we are outside as much as possible. We sit out on the porch in the back looking at what new flower has come up and just generally enjoying our garden. Every summer for the past 14 years we have vacationed in Maine (unfortunately not this year) and one of the things I love about Maine is the big porches on so many of the houses. 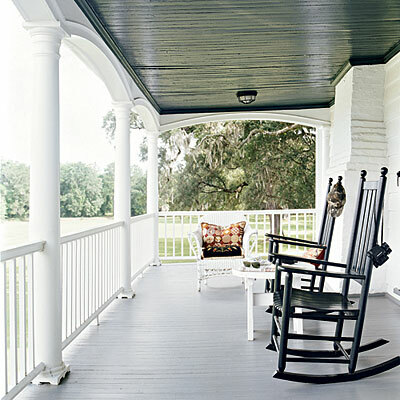 I love it when there is a wrap-around porch, and I see the people that live in the house sitting outside watching the world go by. 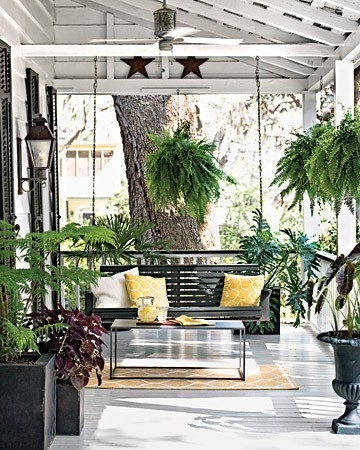 Do you have a big porch on your house and how have you decorated it? I love blue hydrangeas. Reminds me of Cape Cod! Talk about an elegant patio! That is just like Maine! 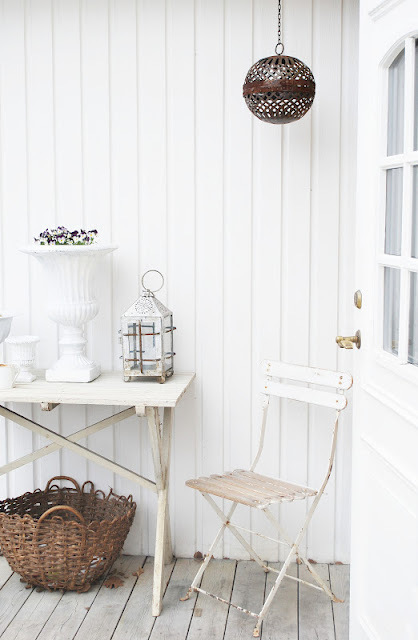 Bright white with the black contrast and a pop of color, perfect.